Like most people, you’re probably looking forward to that time in your life when you can set your own schedule, relax, and enjoy all that you’ve worked for. But today, with the average life expectancy being longer than ever before, it isn’t unheard of to live for 20 more years after leaving the world of employment. And, while that can be great news, it can also cause you some big concerns – primarily that of running out of money before running out of time. If you have this fear, you’re not alone. Studies have shown that a majority of people approaching that time in their life are in fact at risk of outliving their money. On top of that, a recent report from the Economy Policy Institute states that “nearly 20 million seniors – or almost half the elderly population – are living on incomes that put them precariously close to the poverty line”. With that in mind, it’s easy to see why you might be wary of “taking the plunge” and leaving the security of an employer’s paycheck. According to the Employee Benefit Research Institute (EBRI), in 2015, only 37% of workers were “very confident” that they would have enough money for a comfortable retirement – and 24% are “not at all” confident”. Market Volatility – Protection of principal is something that most all investors strive for – especially as you move towards retirement. Unfortunately, even a slight “correction” in the market could deplete a large amount of your savings within just a short period of time. Inflation – Over time, inflation can also play a key part in affecting both your retirement savings and income. In fact, an inflation rate of 3.22% can cut your purchasing power in half in just a 20-year time frame. Order of Returns – In addition to just the returns that you obtain on your investments, the order in which you receive those returns can also make a difference – especially as you get closer to retirement. As an example, if two identical portfolios start out with an initial investment of $100,000 and a 9% average withdrawal rate, they can each have drastically different results given the order of when those returns occurred. In this case, both of the portfolios have an average overall return of 7%. However, because Portfolio #1 has a negative return in Year 2 as opposed to in Year 3, this portfolio ran out of income six years earlier – even with all of the other factors being equal. Source: Government Accountability Office, June 2011. You might feel like you have to take unnecessary risks with your savings in order to obtain a higher return just so you can obtain the additional growth that you need. But unfortunately, this can often end up backfiring and achieving just the opposite result. In the meantime, it also brings about many sleepless nights worrying about what will happen down the road and how the money can be recovered. There is, however, a viable solution that can allow you to obtain tax-advantaged growth, and at the same time, protect your principal. And, when the time comes for converting your savings into income, you (as well as your spouse or significant other) can receive guaranteed lifetime income throughout the remainder of your life. You can obtain this solution through a fixed income annuity. 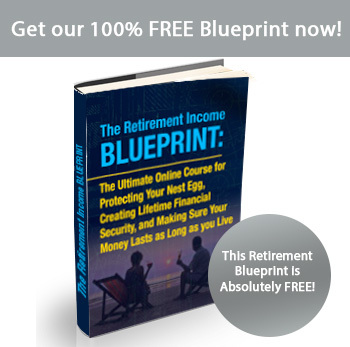 In ensuring this guaranteed stream of income, we’ve actually taken the overall planning process a step further and simplified it so that all you have to do is answer just a few simple questions in order to set up your income for life plan. On the current course you’re on, will you outlive your money in retirement? If so, the good news is that there is a better way to ensure the income that you need – and it doesn’t require placing your savings at risk. You may be wondering if it’s difficult to set up or if you will need to spend countless hours working on your finances in order to get up and running. But this isn’t the case. Unlike many other income plans, this plan doesn’t involve you having to set up a complicated financial scenario. In fact, it is as simple as figuring out how much income you will need for your expenses, and then filling in any income “gaps” that you may have.